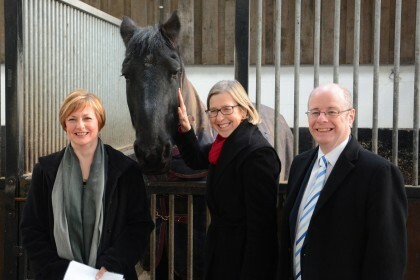 The Minister for Disabled People, Health, and Work, Sarah Newton, and Peter Heaton-Jones, MP for North Devon, both visited the Calvert Trust’s facilities today (Friday 16 February) to see first-hand the work they’re doing so disabled people can enjoy adventurous activities that many others take for granted, such as horse riding, abseiling and canoeing. 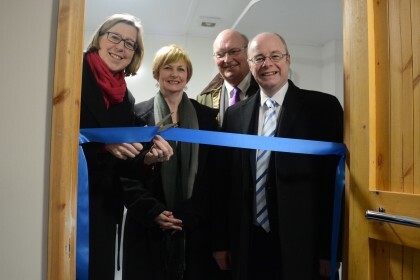 As well as seeing the facilities built by Challenge Anneka, the Minister formally opened a new wet room, which will enable guests with the highest needs to access specialised showering and toileting equipment at the waterside. The Minister also met several trustees of Calvert Trust Exmoor, and David Barker of Barker Morris, who generously contributed significant funding towards the cost of the new wet room facility.